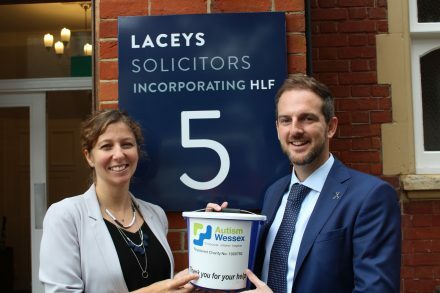 Fundraising for Autism Wessex - Laceys Solicitors Laceys is a leading, forward-thinking law firm with specialist experts serving both individual and business clients across a broad spectrum of practice areas. Thank you to all those who attended the Laceys Golf Day at Parkstone Golf Club, to raise vital funds for Autism Wessex. We were delighted to raise over £500 for the charity. Sam joined Laceys back in 2015 to help look after the marketing for the firm. Her role includes managing branding, website content, events, advertising and social media for Laceys. 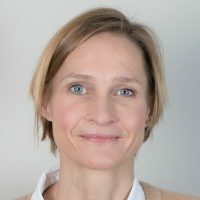 Before joining Laceys Sam worked for over 10 years in several marketing agencies in London, managing client projects across different sectors, ranging from Coca Cola to the Department of Health. Having grown up in Poole herself, Sam and her family took the decision to move back to the South Coast a few years ago to bring up their young children. Outside of work, Sam is a keen racquetball and tennis player and getting out on her bike to the Purbecks when time allows. She is also partial to a good glass of wine and dance when the opportunity arises!